A manufacturing plant had a 24/7-production schedule that was controlled in multiple shifts, through 400 factory workers. The plant occasionally had requirements for overtime work, which paid a premium on top of the regular hourly wages. The management offered all workers a fair chance to opt-in for overtime work however the technology used to manage the availability of workers for overtime shifts was inefficient and led to frequent worker grievances. The plant management needed a better overtime workforce management solution and called Amicus to help. Workers were frequently complaining to the union that they had not been fairly considered for an overtime position, despite being available and having better qualifications. Union grievances are a particularly troubling concern for plant management, to say the least. On their part, the management felt that they had done their best to resolve this situation. They had instructed their supervisors to dedicate sufficient time every week to match the overtime schedule with the availability of workers. They also regularly requested workers to submit their updated qualifications and available hours to their supervisors in order to be considered for overtime. There were around 40 supervisors at the plant and each managed their own overtime systems. These “systems” were essentially Excel sheets that had been designed to input available worker hours in order to determine the best match for an overtime position. This system had been in place for the past 5 – 6 years and users now had their data in hundreds of these spreadsheets. In the most recent union contract, the management had agreed to build a traceable and accurate solution to resolve the overtime situation. The Business Unit requested Amicus to build a single large Excel sheet that would amalgamate all the other Excel sheets into one central file to manage total workforce availability. The Amicus business analyst noticed that the sheets contained limited worker information and had low physical security (particularly in regards to information access and data loss). Furthermore, the process of making changes was tiresome, requiring manual corrections and the need to follow specific business procedures to stay within union regulations. We realized that creating a single file would solve the problem of multiple documents but it would not address the related issue of managing updates in employee qualifications. It was a quick-fix solution that would not address the root of the problem – ownership of data. The supervisors had been spending too much time managing and updating workforce data (qualifications, availability) only to find a union complaint against them a few weeks later stating that a worker was in-fact available when the Excel sheet said that they weren’t. 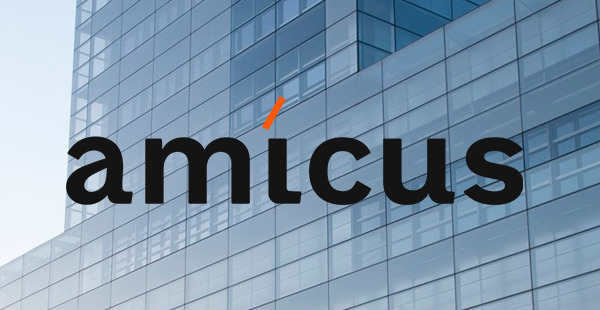 Amicus designed a software application that shifted the onus of managing worker availability and qualifications, onto the workers themselves. Now it would be up to the workers to update their own availability. If they didn’t, the system would consider by default that they were not available, taking the responsibility off the shoulders of the plant management. Also, the system provided in-built business logic to determine employee eligibility based on their qualifications, priorities and seniority. Amicus designed the software with a user-friendly design and secured data access with audits. Users were not able to view standard reports and their standings in terms of preference. Given that the software would determine the next in line person based on mutually agreed and validated rules, there was no question of doubts and grievances, bringing traceability and accountability to the whole process. The client benefitted from an enhanced Document Management System with minimum IT and business disruption. Over a million surplus documents were deleted as part of the clean-up effort. The project resulted in retiring 4 legacy systems therefore reducing the recurring license and maintenance costs by leveraging the existing SharePoint infrastructure. An efficient O365 SharePoint solution is commissioned that will host a knowledge base that is more structured, secure and accessible and also prevents document duplication in multiple DMS. The solution has enabled the company to employ a mature and standardized document management process that is more reliable, robust and regulatory compliant. © 2005 - Amicus Technology Pvt. Ltd.